Let’s say that you flip a coin five times with the following results: heads, tails, heads, tails and heads. Now if you flip the coin again, which is the most likely result … heads or tails? The truth is that either result is equally probable. If you believe otherwise, you are experiencing the gambler’s fallacy. For example, after a long losing streak at a slot machine or a roulette wheel, you might believe you are “overdue” for a win. In reality, your odds have not changed at all. 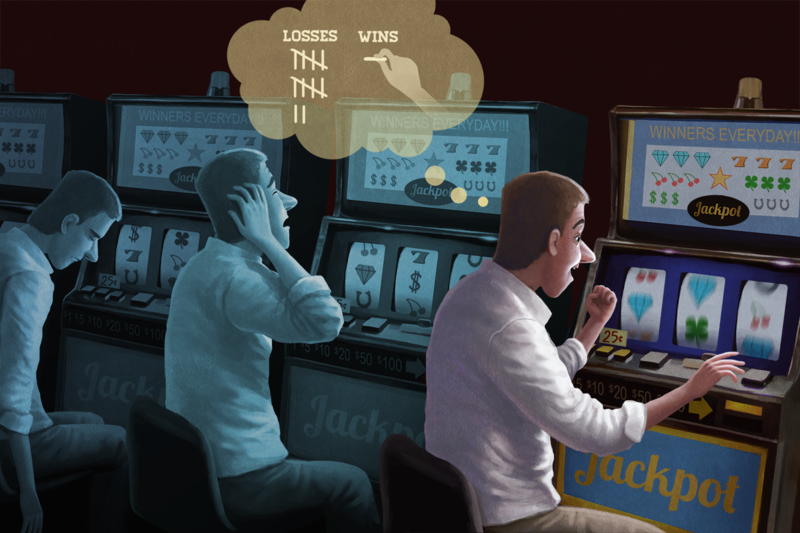 Why do people so frequently fall for the gambler’s fallacy? According to newly published research, the answer could be in our neurons. At the Texas A&M Health Science Center, researchers exposed a computer model of biological neurons to a series of random sequences. By observing a coin toss over and over again, the study found, the model learned to differentiate between and respond to the random patterns of heads or tails. When the researchers analyze the data, they found the neurons that preferred alternating patterns (that is, head-tail-head-tail) significantly outnumbered the neurons that preferred repeating patterns, such as head-head. The study appears in the March 9 issue of the Proceedings of the National Academy of Sciences, and also involved researchers from the University of Colorado, HRL Laboratories LLC, and the Chinese Academy of Sciences. The research was partially funded by the Air Force Office of Scientific Research, the Office of Naval Research, and Intelligence Advanced Research Projects Activity. Principal investigator Yanlong Sun, an assistant professor of microbial pathogenesis and immunology at the Texas A&M Health Science Center College of Medicine, said: “In other words, these neurons behaved just like the gamblers in a casino: when the outcome of a fair coin toss is a head, they are more likely to predict that the following toss will be a tail than to predict it will be a head, despite the fact that either pattern is equally probable.